Secretary of State for Transport Chris Grayling MP has published a Department for Transport document detailing investments adding up to £2 billion being made in transport in the South West to help the region prosper. As well as discussing the A303 Stonehenge bypass, investments in the M4 and M5 corridors and work to provide a permanent solution to the railway seawall problems at Dawlish, Investing in the South West includes the long-awaited £83 million scheme to improve the A361 North Devon Link Road. It also covers investment in greener transport, including charging points for electric vehicles, cleaner buses and cycling schemes. 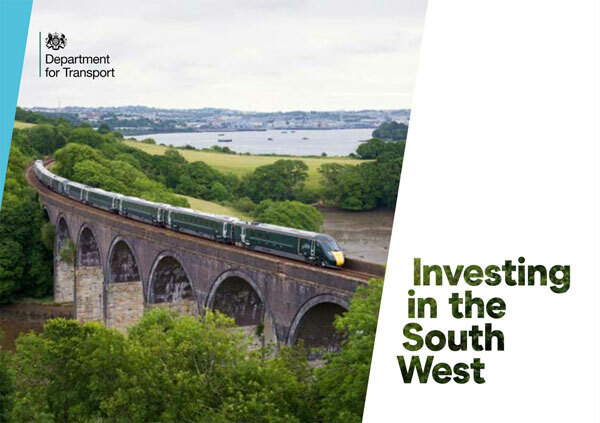 Read the report in full by downloading from gov.uk/government/publications/investing-in-the-south-west.